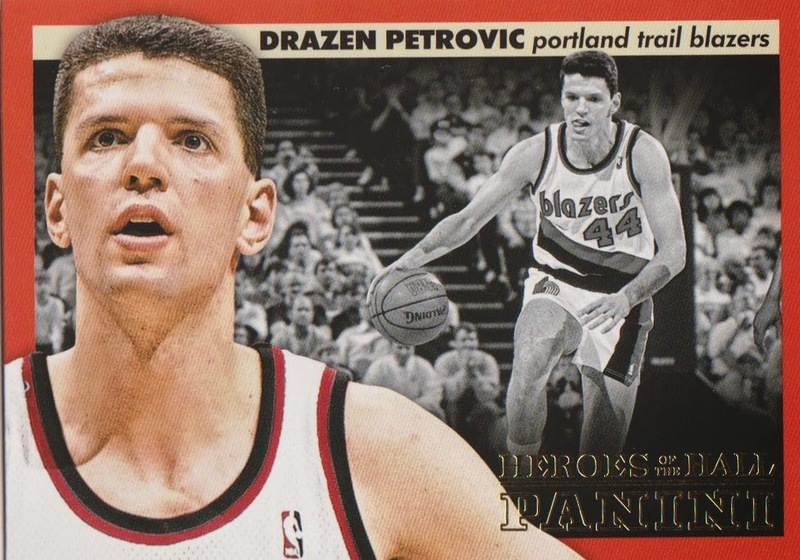 A Cardboard Problem: Petro for three! Since Derek Jeter has announced his retirement, people have asked what am I going to do with my collection. Jeter cards are still going to be produced for years and years. Obviously not at the clip they are being made now, but maybe that might just help me catch up and find some of those cards I’m missing. I have more than 2,000 unique Jeter cards, but there are 14,412 listed in the Beckett database. So, the search will continue. I can’t just start a new collection of someone where there isn’t a connection. I started collecting Jeter because he was the face of the New York Yankees all those years ago and I was an impressionable kid in high school. He seemed to do it all. 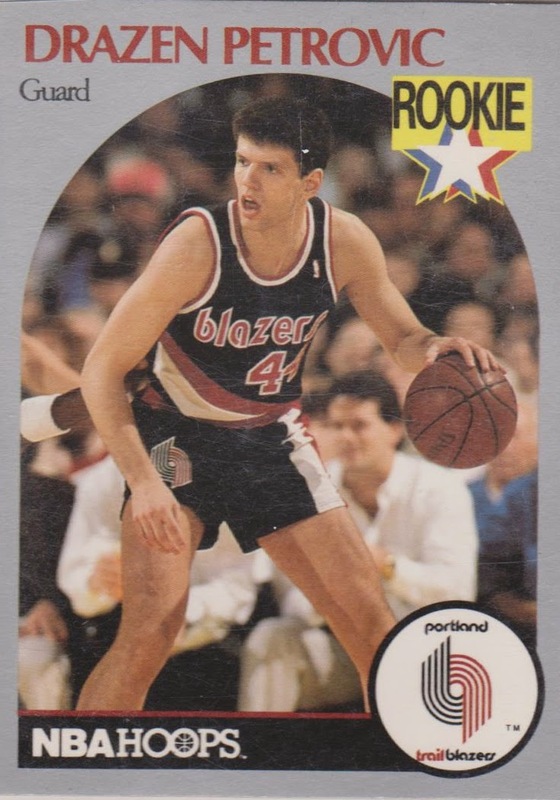 I am still working on collections of guys who are retired and long gone for the game. One of those collections built up this past week when I went on a spending spree on eBay. 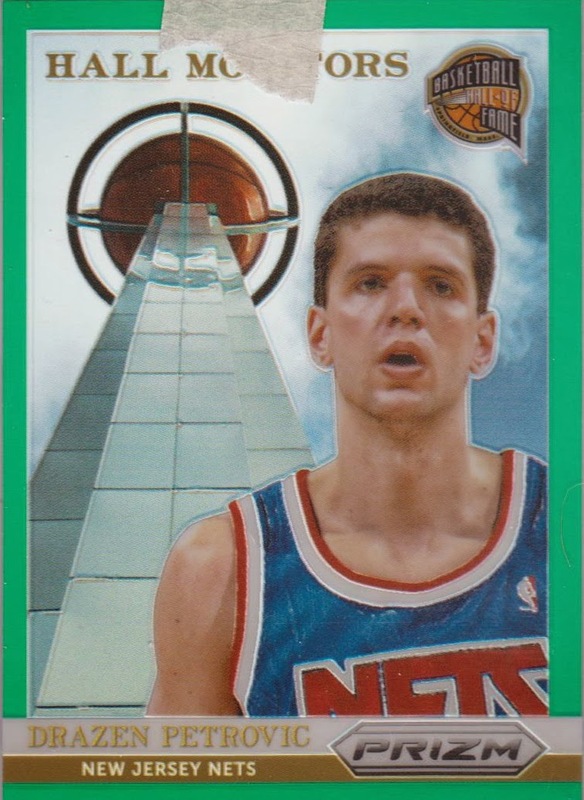 I picked up 11 new Drazen Petrovic cards. Not all of them are old. 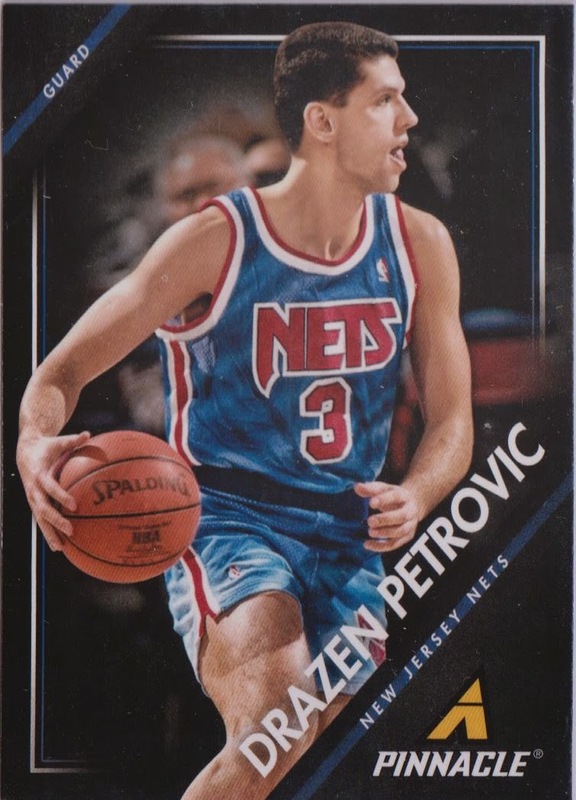 Panini has created new cards of Petrovic in recent products, which lets me know there will be plenty of Jeter cards produced in the near and far future. 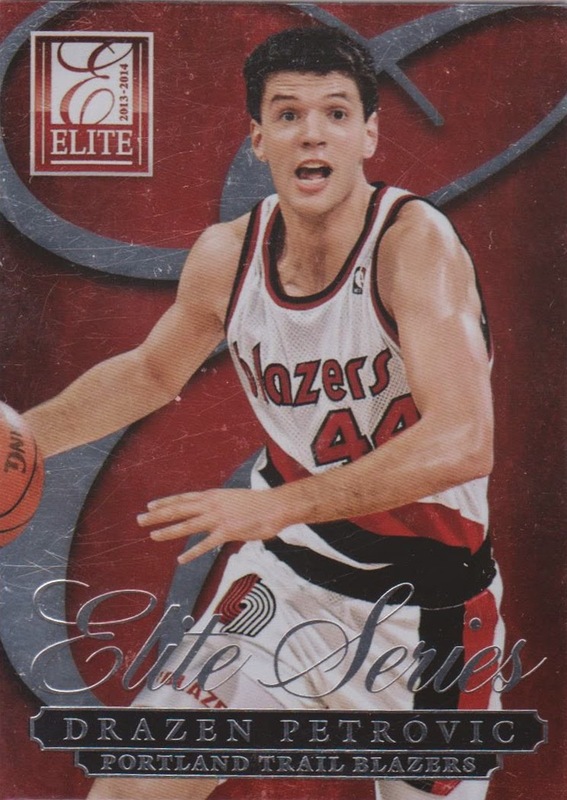 It’s neat to see older players on modern cards. 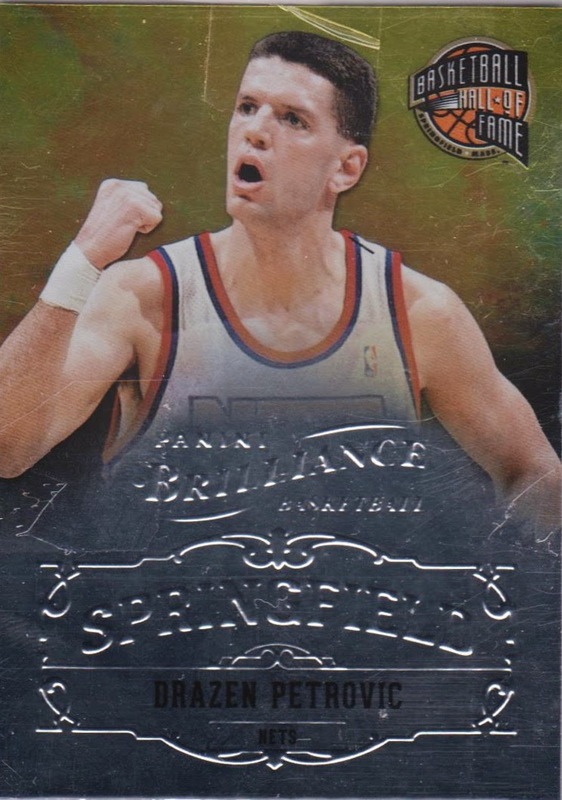 That’s one thing Panini has done right with basketball– incorporating retired players into its products. Although, now we get to chase all those parallels. Here are the Panini Prizm Hall Monitors I picked up along with parallels. 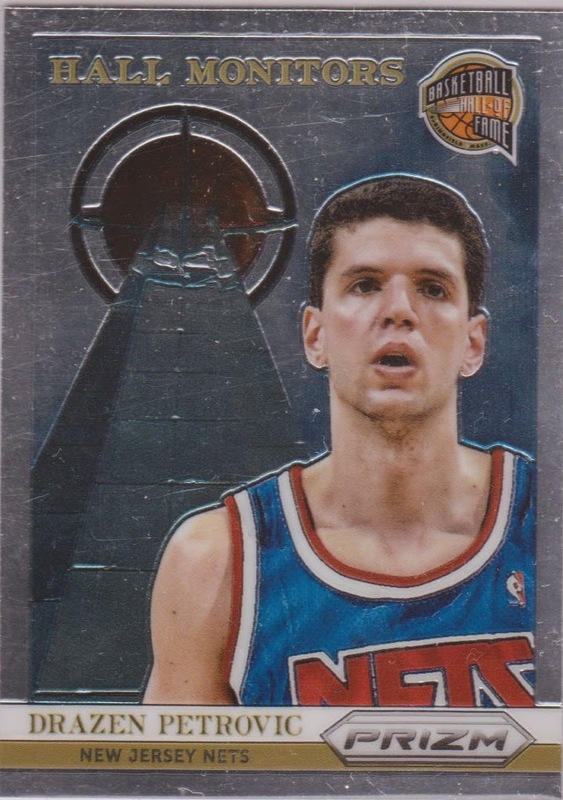 There were also these modern cards of Petro. I couldn't go all modern. 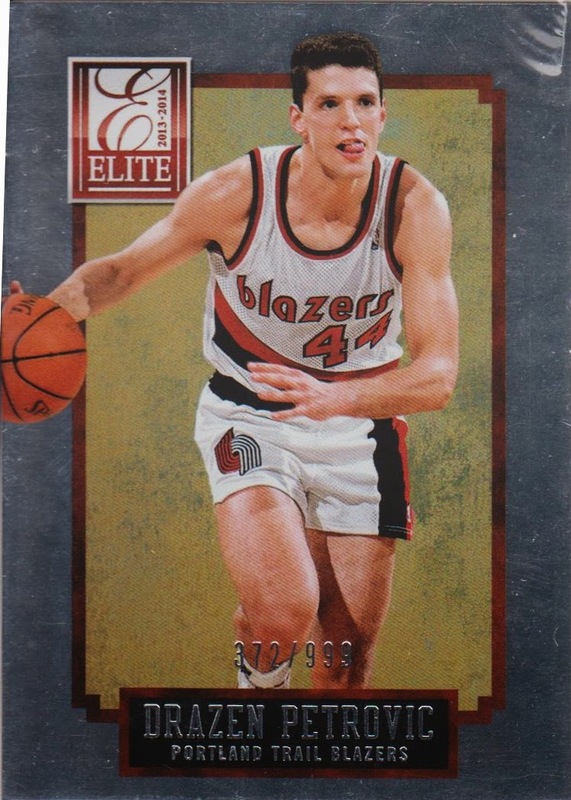 I picked up some older cards I didn't own: 1992-93 Topps Archives. 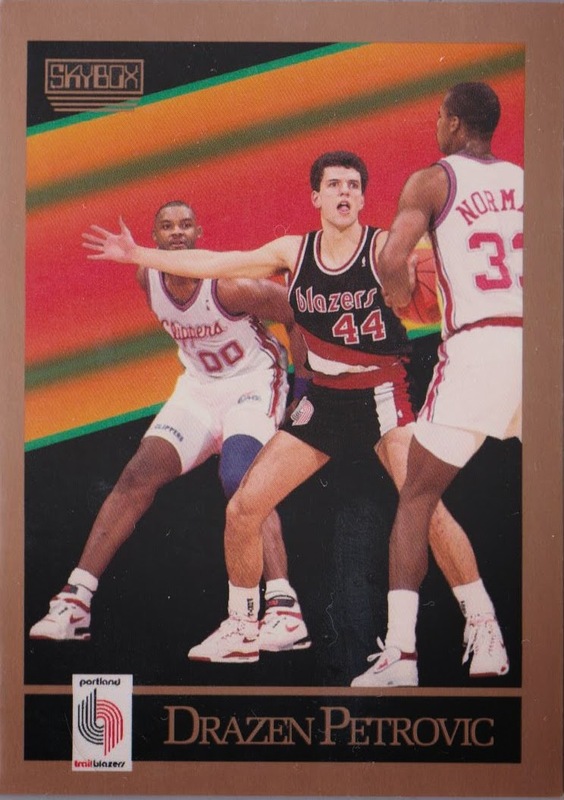 Every time I see his cards, I think back to how awesome he was. It's a shame he passed away at such a young age. I don't think you have to worry about new Jeter cards to chase in the future. 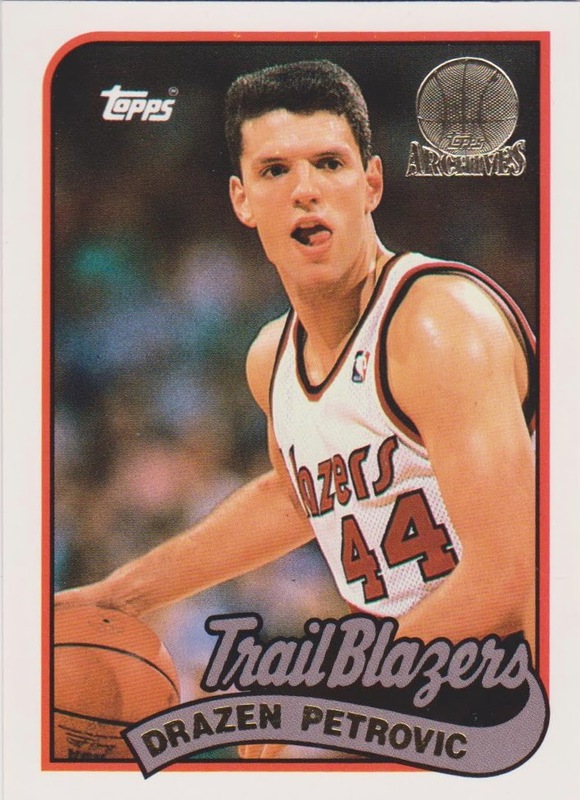 And I think it's pretty safe to say he'll be a first ballot hall of famer. So mix with that that he's been the face of the Yankees for close to 20 years and I think it's safe to say your collection will continue to grow. I know as a Robin Yount collector that after his inauguration in 1999 to the hall more cards of him have been produced than when he was an active player.